I don't know about you, but I'm out of explanations when someone asks what the numbers mean on the back of a car. It used to be very simple to explain that a C280 was a C-class Mercedes with a 2.8-liter engine, and that was the end of the story. But with engine downsizing and the egos of their customers in mind, luxury automakers probably aren't backing down from making up numbers anytime soon. Autoblog speculates that a new small Lexus crossover might usher in the first time the word "turbo" is hinted at on Toyota's luxury brand. The rumored NX200t is a mouthful, that's for sure, but the little "t" on the end means one thing (usually): turbo. It's better than what the company does with its hybrids, as the CT200h or ES300h or LS600h get totally fake numbers that are supposed to represent the output replicated by the gas-electric combo. The Turbo badge is making a comeback from the hangover following its 1980s heyday. It's on the back of a Chevy Sonic, a Hyundai Veloster and a slew of Porsches. Even Audis with superchargers have Ts on the back. 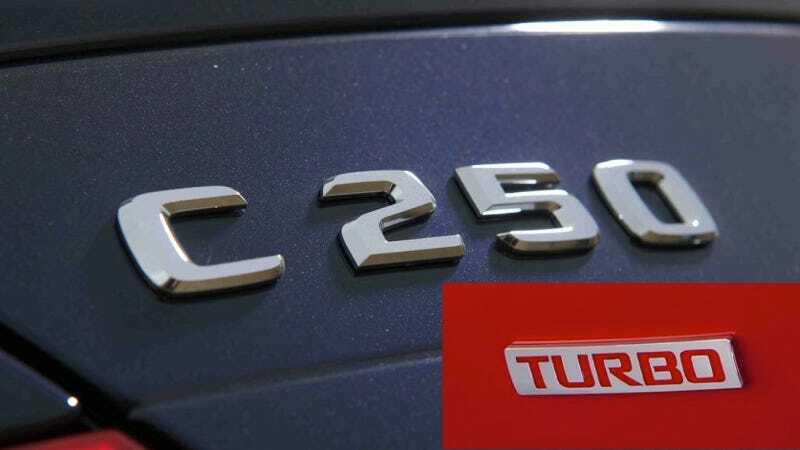 Even though companies like BMW have long done the "compensating badge" route when it comes out with something turbocharged, a 320i Turbo sounds more exciting than a 328i. These new turbo badges don't have to be big or have retro turbine logos (not that those would necessarily be bad), but we're so at the point now where honesty is the best policy. A small "t" is all that it takes to get me a little interested in what's likely to be a predictable Lexus crossover. Aren't you over the badge prestige of a bigger number on the back of a car and just ready for the numbers to match up with the engine size again?